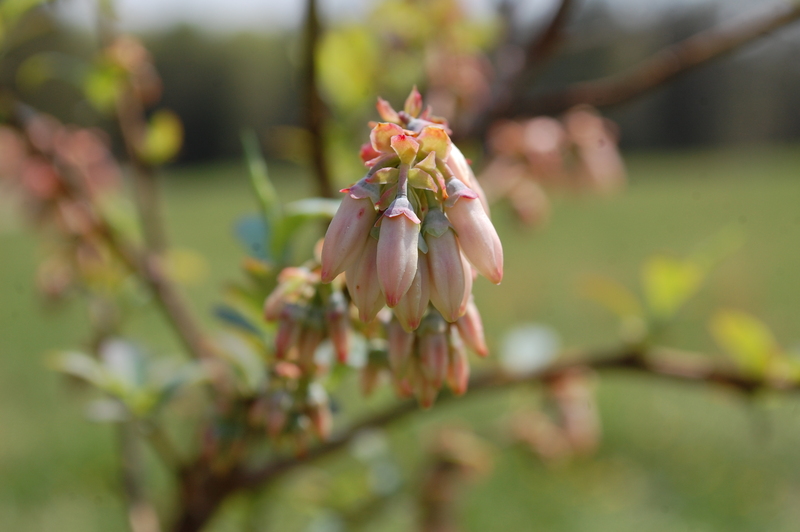 Well, the blueberries are blooming and they’re gorgeous. So far all of our transplants are sprouting beautiful leaves. So that’s a relief. It’s always a little stressful when you’ve exerted so much work and time into a plant and you check on them every day wondering.. “Are they going to make it?”. Thankfully, those days are over for the blueberries. I think it’s smooth sailing from here. 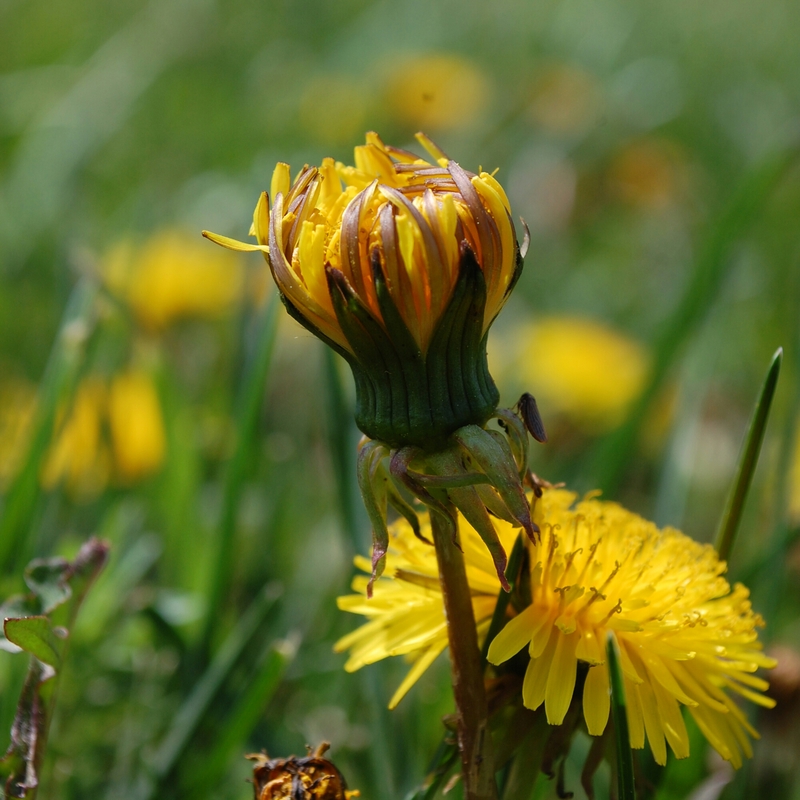 Dandelions are so pretty I don’t care what anyone says. It’s a shame people want to rid their yard of these guys. I personally think a yard looks its best with yellow freckles. There’s a ton of health benefits from these quaint flowers but that’s not what this post is about. I actually want to share a recipe I tried the other day. This is not a food blog I know but this was too good not to share. So my husband’s favorite dessert is chocolate chip cookies. A simple man. You can set them beside the finest cheesecake and he will still reach for the cookies. Hey, I’m not arguing! 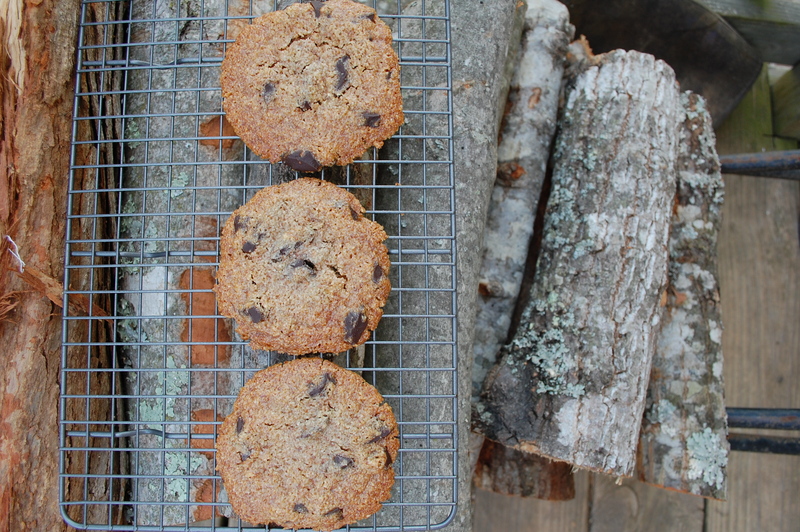 So I ran across this recipe for paleo chocolate chip cookies. This recipe is stupid simple. 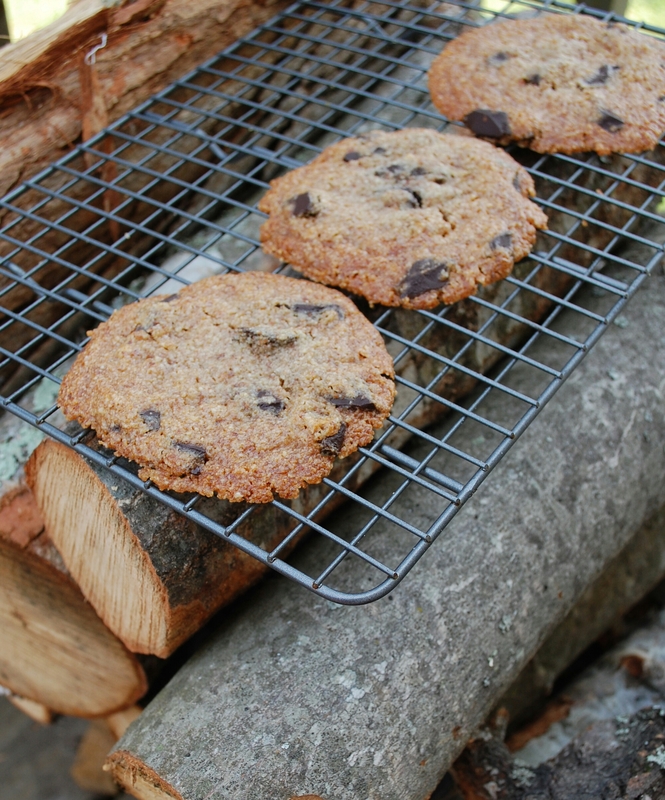 Thanks to Livin Paleo I’ve found my new favorite cookie recipe. • In a bowl mix dry ingredients together. In a separate bowl mix wet ingredients together. • Once wet ingredients are well blended, add it to the dry ingredients. Mix well. • Stir chocolate chips into the batter. • Scoop tablespoon amounts of the batter onto the prepped baking sheet. Be careful not to crowd the cookies because they spread. These concluded every meal on our trip to Asheville even breakfast. And no I didn’t feel bad about it either! Before you make these go to Livin Paleo’s blog and read her comments on the batter. It may be of some help with any batter consistency questions. They worked great for me and my husband loooved them. Sneak these to your kiddos instead of the tubed cookie dough at the store. They won’t know what hit them!